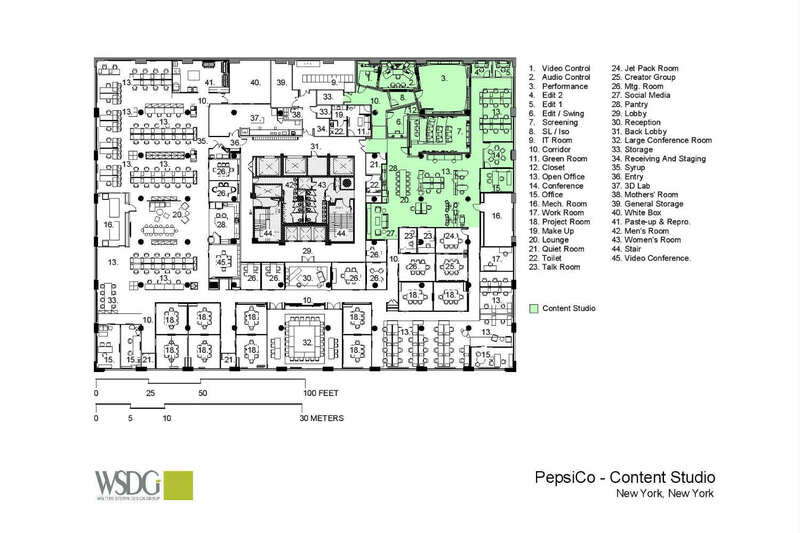 With the goal of initiating and nurturing synergistic relationships with new and established video, music, TV, digital and Internet content creators, PepsiCo commissioned a cutting edge 4,000 sq. ft. production/post-production complex at the hub of NYC’s pacesetting SoHo artistic community. WSDG’s architectural/ acoustical expertise was engaged to collaborate with Granoff Architects to create a technically flawless, aesthetically invigorating environment for the ambitious venture. 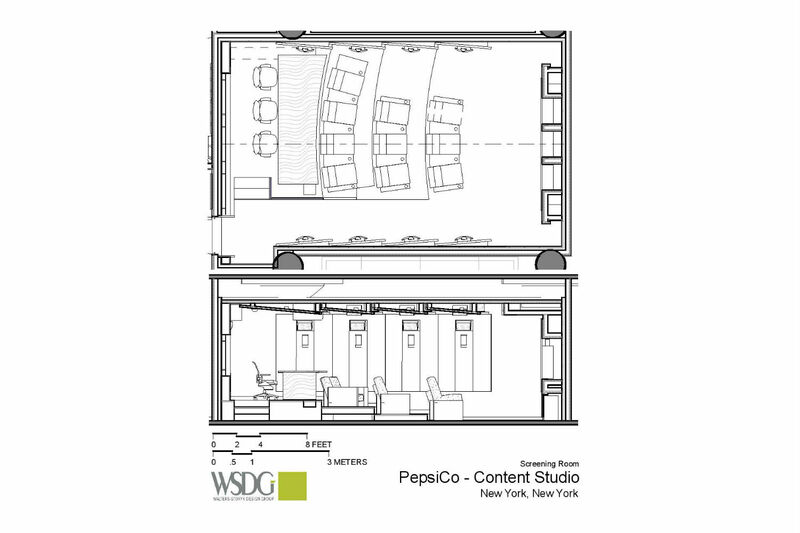 Designed to house a team of 6 – 10 technicians and engineers, PepsiCo’s Content Studio features an 1,150 sq. 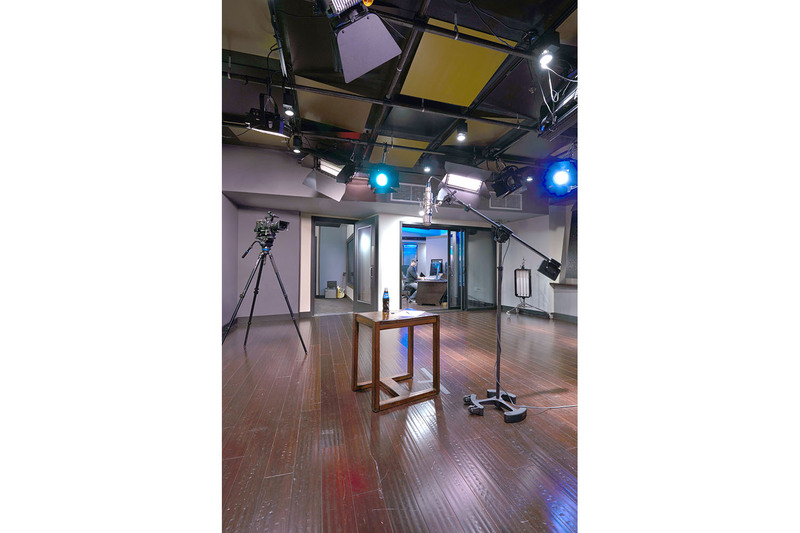 ft. multiuse recording studio, five editing and production bays, a 575 sq. ft. soundstage, a 515 sq. 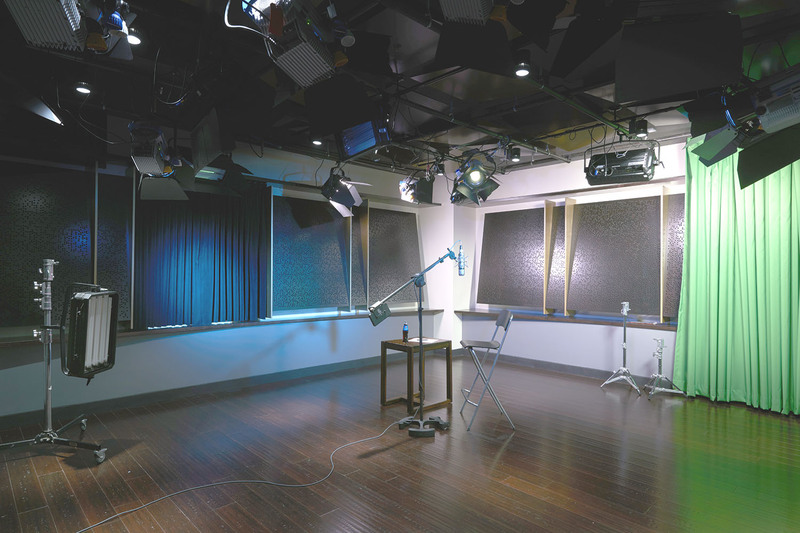 ft. multi-format screening room, an 1,800 sq. ft. ‘loft-like’ creative bull pen and a spacious, informal reception/dining area. The concept was to establish a high tech production facility to provide a community of creative thinkers, artists and producers with the technological resources to foster their vision. 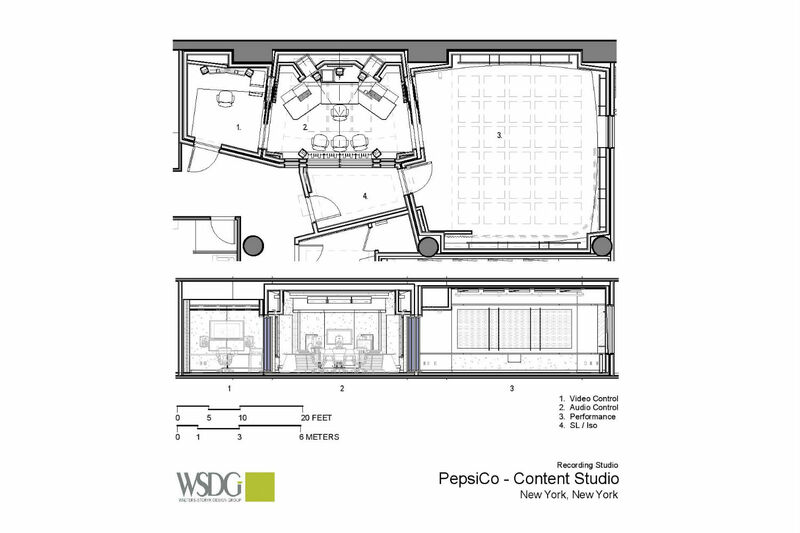 A striking, flexible, highly functional environment, the PepsiCo Content Audio Recording Studio is centered on an SSL AWS 948 console, complimented by a pair of soffit-mounted ATC SCM150ASL stereo monitors. 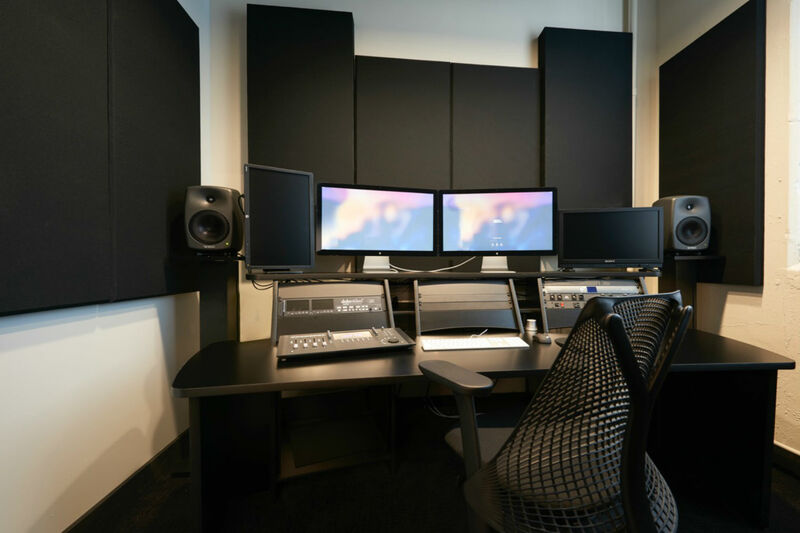 Genelec 8250A monitors provide 5.1 – surround playback. 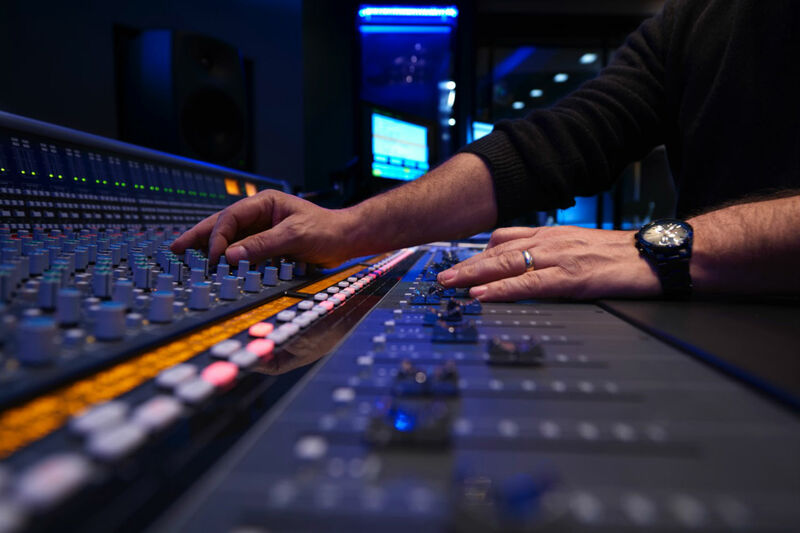 A variety of outboard gear and mic preamps offer a wide range of options. Video is captured on the 26’ x 25’ Soundstage/Performance Area in resolutions up to 4K, and can be routed live throughout the facility in 1080p through SDI tie lines. A broadcast grade production switcher (Newtek Tricaster 460) expedites video feeds for live editing and processing for webcast, or to be stowed on the Promax storage array. The switcher offers a full selection of video post-production tools, including live Chroma keying, virtual sets and color correction. 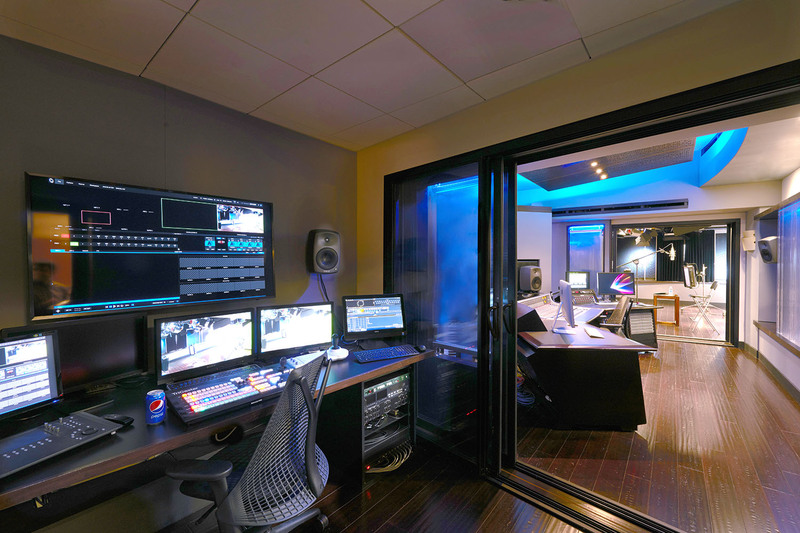 Post also boasts a full nonlinear editing station and a digital audio workstation for ADR. Green Screen and LED production lights are managed from the VCR. The studio shares a central machine room with servers in the adjacent IT Room. 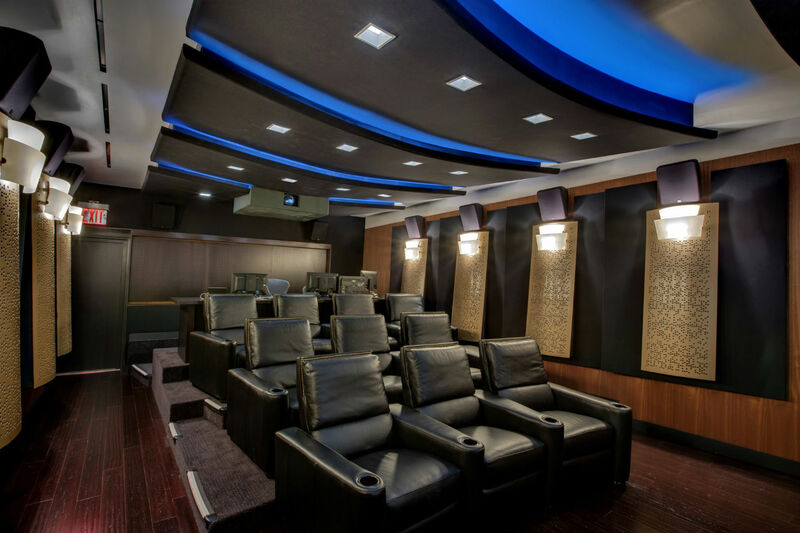 The handsome Screening Room features 4K projection from a variety of sources onto a 9’ acoustically transparent cinema screen. A 5000 watt, 7.1 JBL Dolby approved sound system provides optimal audio performance. Ten plush leather seats and Japanese wood veneer wood wall coverings further enhance the setting. Early guest clients include Alicia Keys, Serena Willams, and Kacy Hill, an artist signed to Kanye West’s label.